The first ever plug-in hybrid Sports Activity Vehicle, the 2016 BMW X5 xDrive40e, starts production in August 2015 and will arrive in showrooms in the fall. It will sell for an MSRP of $63,095. 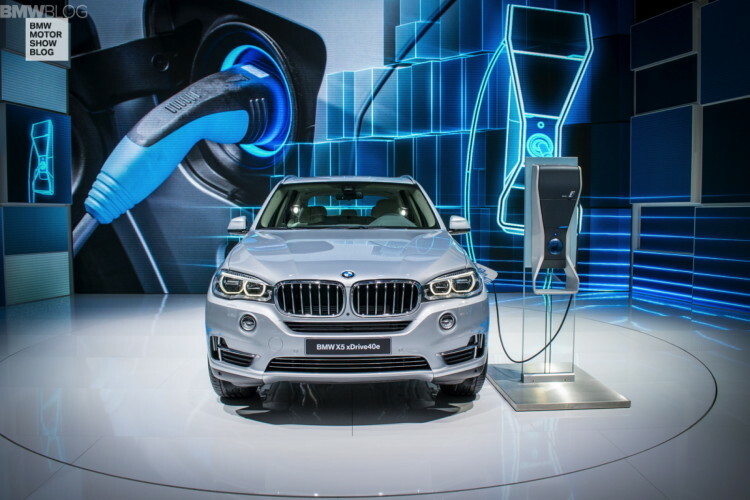 With a total system output of 230 kW/308 hp generated by a four-cylinder petrol engine with BMW TwinPower Turbo technology and a synchronous electric motor, the BMW X5 xDrive40e achieves a combined fuel consumption of 3.4 – 3.3 liters per 100 kilometers (estimated 55 MPG) and a combined electricity consumption of 15.4 – 15.3 kWh over the same distance. The Lithium-ion high-voltage battery has 96 cells and a capacity of 9.0 kWh. The electric motor produces 113 horsepower. The X5 plug-in hybrid powertrain has a combined output of 308 hp and 332 lb-ft torque, allowing the luxury X5 hybrid model to deliver a remarkable performance. The car accelerates from 0-62mph (0-100km/h) in 6.8 seconds. This is accomplished thanks to a max torque of 184lb-ft available from 0 rpm from the electric motor. Top speed is electronically limited to 130mph (210mph) or 75mph (130km/h) when running on electric power. 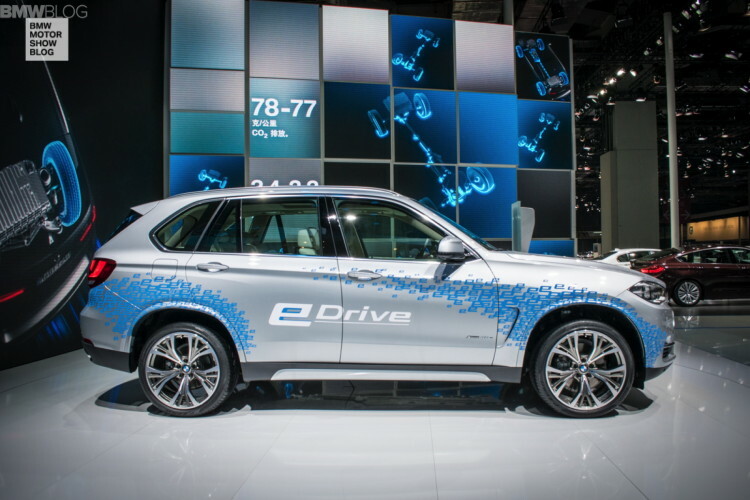 BMW X5 xDrive40e can go up to 13 miles of zero-tailpipe-emission pure electric driving.